In a time where there are more single people than there have ever been, and there is more betrayal than ever. People have a hard time trusting that they will pick the right partner for themselves. The first step is loving and respecting yourself. Fear it. You aren't afraid to commit and you put yourself in a situation with someone that, also, doesn't fear it. If you are afraid of commitment, it's best to work that out before starting a relationship. Snoop. If you trust your partner, why are you looking? Going through your partner's email, phone, Facebook account or journal, strongly indicate you don't trust your partner. You're also violating your partner's trust in you. Think you're superior. If your feel your partner is inferior in any way you know that matters to you in a mate - morally, intellectually, financially, socially or professionally - then you're never going to respect your partner the way you hoped to be respected. Let any substance abuse or behavior come before the relationship. Anyone abusing a substance or behavior is cheating on you with his or her drug of choice. You deserve more. Depend on each other for things no one can or should supply. 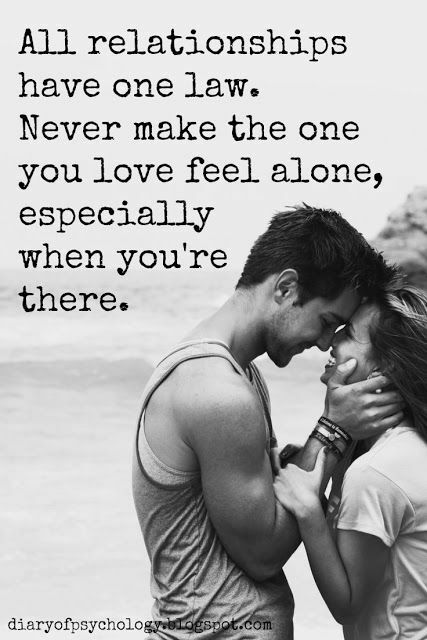 If you're looking for your partner to resolve your emotional issues, make your more responsible/successful, support you financially, improve your social standing, expand your group of friends, provide you with the family you never had, then it's possible you shouldn't be in a relationship, or at least not yet. Put it all on the line. If you're not risking having your heart broken, you're not doing it right. Talk about the rest. All the things you're not supposed to talk about on a first date - religion, money, politics and children - are the things you should discuss with someone you are serious about. Occasionally get over yourself and your cynicism and fear of cliche and do something deeply, unapologetically romantic. You send the flowers, request the song, write the note and have the bracelet engraved. You call your partner and tell them that specific thing they did this morning that you loved, and this made you fall more in love. Humble yourselves. You know you can't hide your flaws for long, so don't try. You know that you're going to mess up and that you will need to apologize and forgive, endless times. You recognize that you signed up for all of this. We all want to be in a relationship. This is part of being a human being. I know, for some you've been hurt in the past and are scared of making another mistake. Remember, many relationships go through highs and lows. It's learning how to get through the difficult times that will strengthen your relationship. If you liked How Do You Know If He's The One? There is plenty more in Dating 101. Lianne Avila is a Licensed Marriage & Family Therapist. I have helped many women learn to trust their gut and instincts, when making one of the most important decisions of their life. For more help please call (650) 892-0357 or email Lianne@LessonsforLove.com.